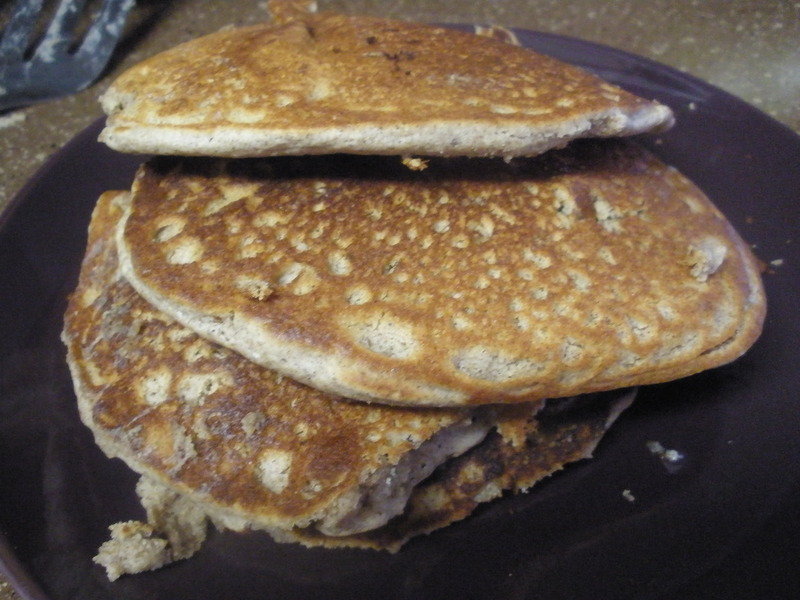 I made these pancakes last week on my snow day, when all of Austin basically shut down due to ice and snow. They were a perfect antidote to the cold, along with a steaming cup of coffee. This recipe is from Isa Chandra Moskowitz’s Vegan Brunch. I have been experimenting a bit with gluten-free baked goods. The ingredients are almost the same as Isa’s recipe, though the instructions are not word for word. They turned out quite well, and I’m excited to try more gluten-free recipes. 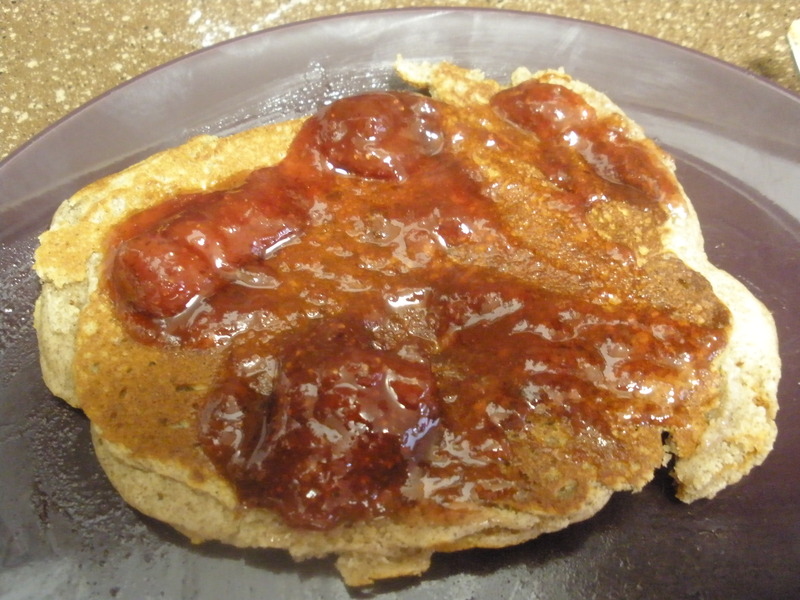 Any syrup or whatever you put on pancakes works of course, though I used some of the strawberry jam I made last May after picking pounds and pounds of them at a local pick-your-own farm. Extra oil or cooking spray for the pan or griddle. Mix the dry ingredients together in a medium bowl. 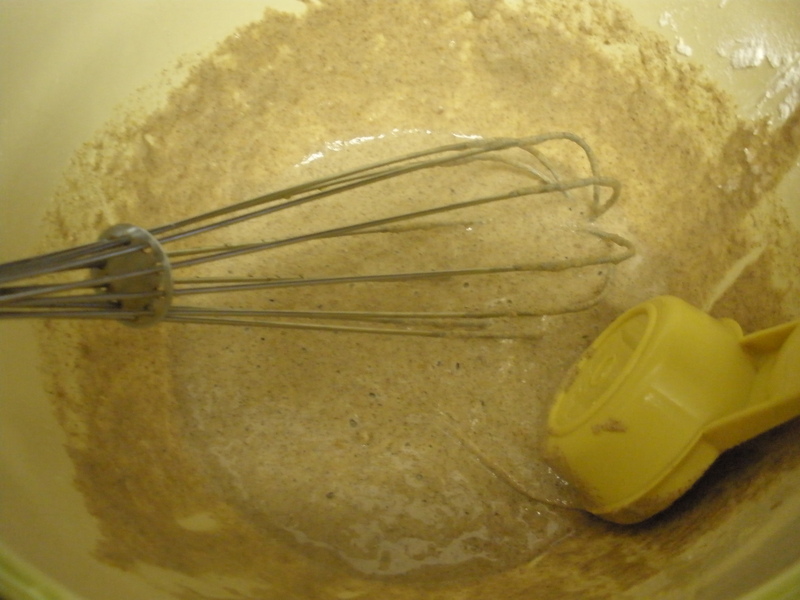 Add the wet ingredients and whisk together. Let sit for about 10 minutes. While the batter sits, heat your skillet or griddle over medium heat. Add a bit of oil or cooking spray to your pan (you may need to add additional oil or cooking spray between pancakes to prevent them from sticking). Use approximately 1/4 cup for each pancake. Cook for 2-3 minutes on each side. Adjust the heat if the pancakes are taking a long time to brown (up) or if the outside gets too dark before the inside is cooked. Serve with jam or fruit butter, honey, maple syrup, almond butter, or your favorite pancake topping. Store any leftovers either in the refrigerator if you plan to eat them within a few days, or freeze them.